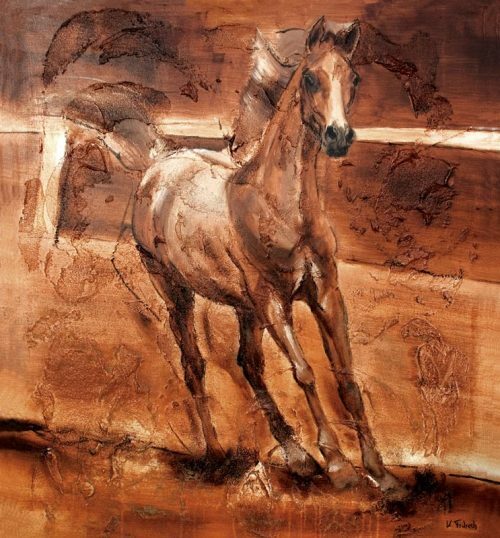 If you describe a full-grown horse, you would probably emphasize its powerful and dynamic nature. 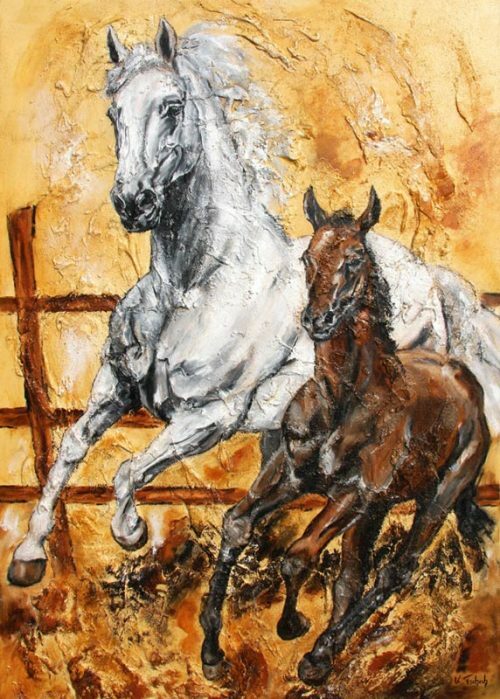 However, if you consider its development from foal to full-grown mare or to full-grown stallion, you will find a very sensitive and tender being at the beginning, which develops however very fast and already knows how to assert itself early opposite its kinds. 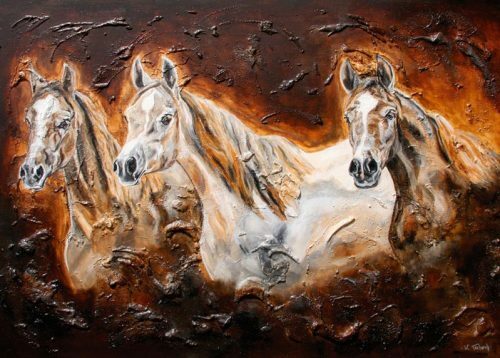 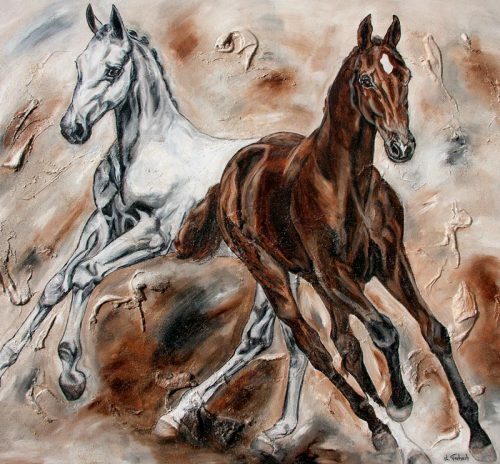 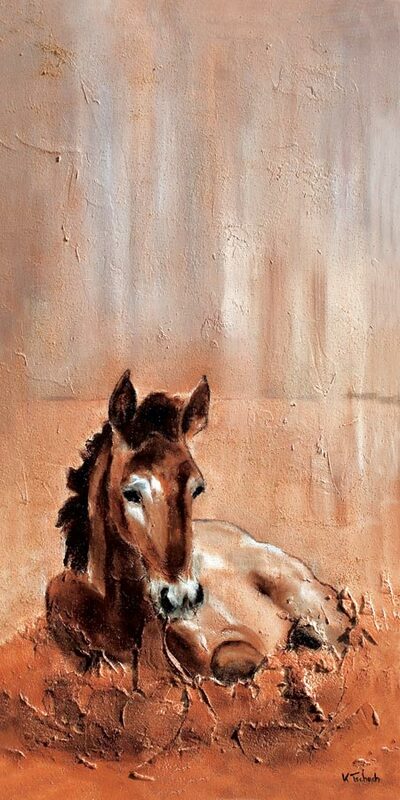 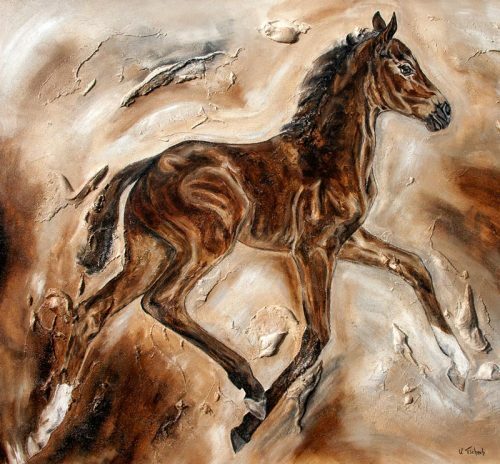 In the category „Foals” you will find works of art in which you can feel the artist’s connection to these young animals. 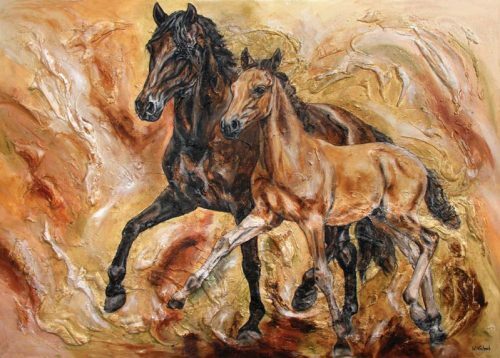 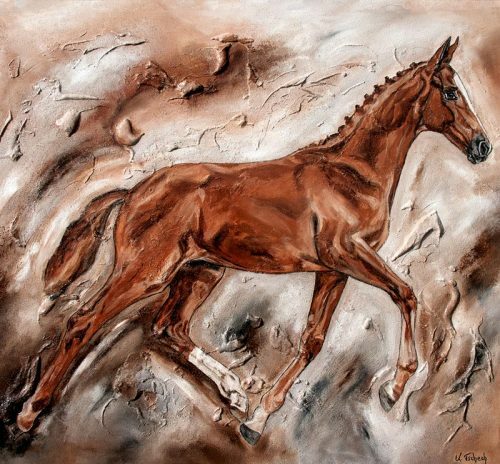 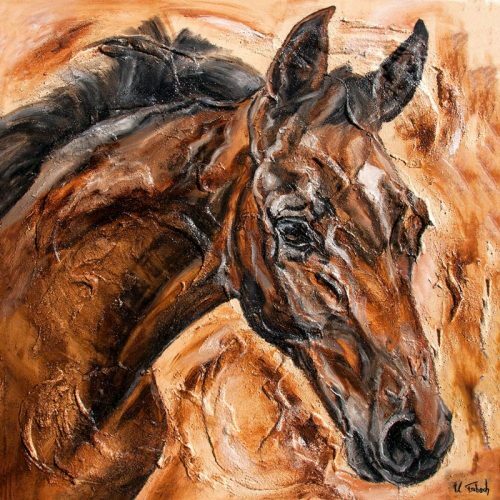 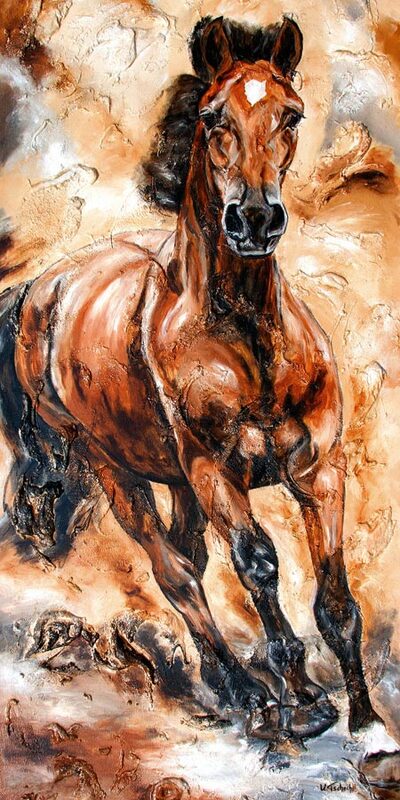 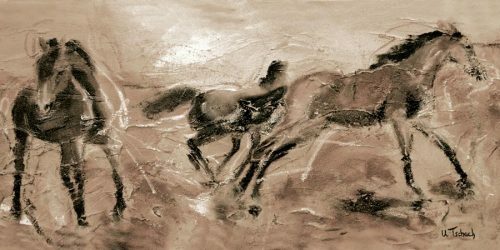 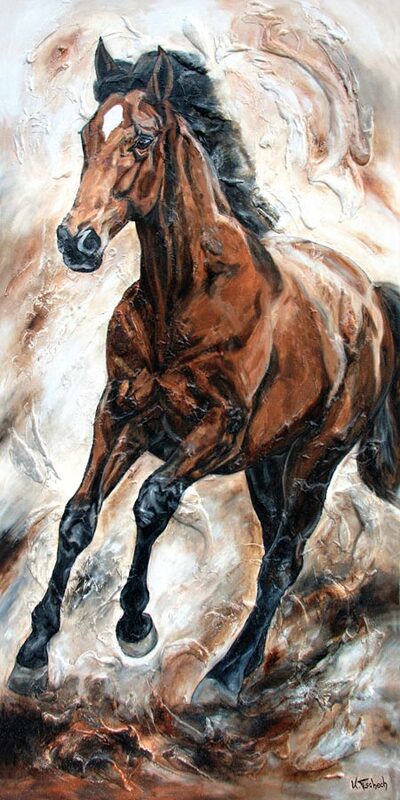 Whether in the care of the mother, in the sibling’s compound or in the easy gallop you see young horses here, which are particularly affectionately painted by Kerstin Tschech. 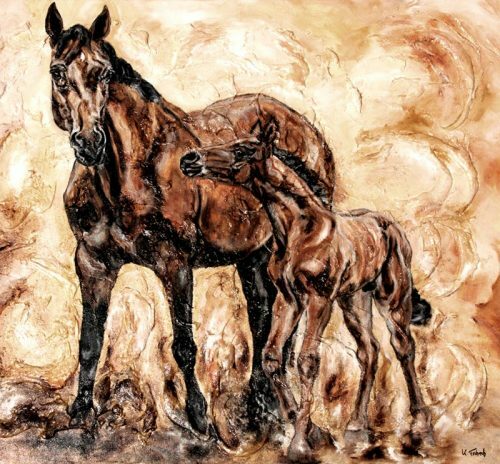 In these artistic representations she attaches great importance to the fact that the delicate and sensitive nature of the foal is revealed. 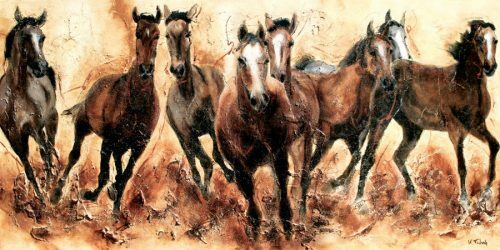 You have the possibility to make your own faithful companion out of this individually arranged selection of artistically representation of young horses. 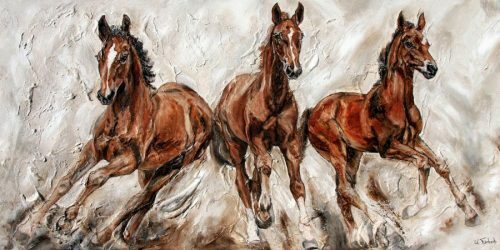 To give your favourite that certain something, you can have it printed in the size that suits you, for example on textured canvas or fine acrylic glass.